The Republic of Cuba is an archipelago consisting of the Greater Antilles island called Cuba, the Isle of Youth (formerly Isle of Pines), and 4,195 cays, islets and islands. Located in the Caribbean Ocean or Caribbean Sea, off the coast of the United States and Mexico. The surface of Cuba is 109,884 square kilometers (including coastal and inland waters is 110,860 km square). Cuba is to the west of the North Atlantic to the north is the Strait of Florida and the Bahamas old channel to the east the Windward Passage, the strait south of Columbus and the Caribbean Sea, and west the Yucatan Channel. The island of Cuba is the largest part of the territory of the Cuban state. The island is 1,250 km long and 191 km at its widest point and 31 km at its narrowest point. 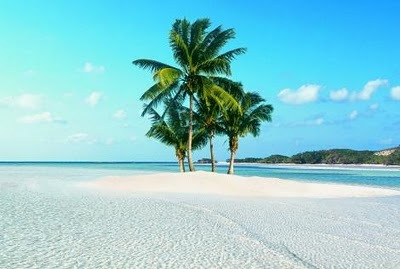 The largest island of the Cuban state, outside it, is the Isle of Youth to the southwest, with an area of 2,200 km2. 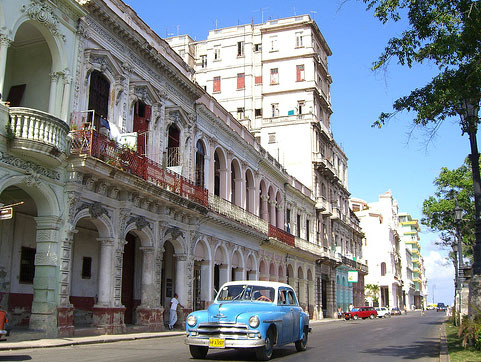 Cuba’s climate is subtropical humid with two clearly defined seasons, the dry (winter) from November to April and the rainy (summer) from May to October. The average annual temperature is 25 ° C, the average winter temperature is 20 ° C and in summer is 26-27 ° C. During the winter season is often the entry of cold fronts with minimum temperatures sometimes below 10 ° C. Minimum temperatures range between 1 ° C and 8.5 ° C in the west of the country and between 3 ° C and 12.5 ° C in the east, the maximum temperatures are between 36 ° C and 38 ° C.The average relative humidity is high, averaging around 80 percent. The maximum daily, generally above 90 percent, occur at sunrise, while the minimum down at noon, up to 50-60 percent in the interior.The wettest areas are the western and central regions, along with the main mountain.The rains are an annual average of 1 200 mm (48 inches) with about 30% of rainfall in the winter and the remaining 70% in summer and are generally more abundant in the western country in the east.The rainy season runs from May to October.The wettest months are September and October, which often fall short but abundant rain. 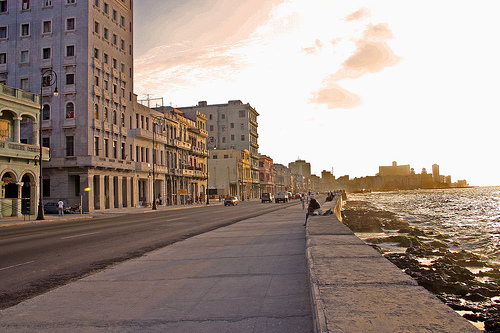 The interesting thing is that Cuba has an average of 330 sunny days a year. -To travel to Cuba requires a passport with validity date at least six months have a card or tourist visa can be purchased at Cuban consulates, and travel agencies or airlines authorized to do so and will be valid for 30 day to enter and leave the country, renewable for another 30 days. This procedure must do so in the Immigration and Nationality. -Make reservations in advance of your trip to enjoy the best options and inform you that all households cubafamilyhouses processed through contributions paid to the Cuban state and are duly certified to accommodate foreign tourists and their owners will be waiting as agreed. -No need to carry voucher when arriving in Cuba, is sufficient to give the name of the private house where you will stay and address. Immigration has relation to all legal houses and can verify that the hosts where the taxi has dicho. -Our homes meet all safety and legality. On reaching the house, the owner will ask your passport and visa. The need to fill in a form (form), some receipts, and the official book, due in Immigration. HEALTH WARNINGSAlthough tap water is drinkable we advise you to drink bottled water, thus avoiding tropical illnesses.-Try to get to Cuba with Euros or other currency accepted in exchange offices other than the U.S. Dollar (USD) since this is taxed at 10% the rate of change Cenvertible Cuban Peso (CUC)-Only change your money at the airport, banks or exchange houses. Never do this on the street, or with persons unknown.Cuba is an absolutely safe and warmly welcomes the entire family, and children are welcome almost everywhere. Even women traveling alone can tour the cities and countryside with absolute freedom and confidence.The emergency phone number in Cuba is: 106. As of May 1, 2010, travelers must present proof of health insurance to enter the country. Travelers who do not have insurance can get coverage through ASISTUR Cuba SA, www.asistur.cu company that provides specialist assistance to travelers, including insurance, financial, legal and cars, travel arrangements return in case of illness or death; help in locating luggage, obtaining new travel documents, and airline and hotel reservations. Your telephone operates 24 hours. In Cuba circulating two types of currency, the Cuban peso (CUP) and the Cuban convertible peso or “dollar” for Cubans (CUC). The exchange rate of two currencies is as follows: 1 CUC = 24 CUP. 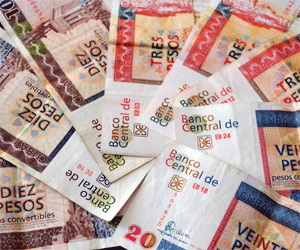 Foreign visitors must make any payment in cash in CUC (Cuban Convertible Peso). The U.S. dollar, Euro and other international currencies can be changed CUC in CADECAS (currency exchange houses) as well as international banks, some hotels and airports. The Cuban convertible peso (CUC) equivalent to 100 cents, circulates in notes of 1, 3, 5, 10, 20, 50 and 100 pesos and coins worth 1 peso. His coins are 1, 5, 10, 25, and 50 cents. When you change U.S. Dollars (USD) Cuban Convertible Pesos (CUC), there is a surcharge, or tax, 10% above the established exchange rate. This surcharge does not apply to the other currencies (Canadian Dollars, Euros, Swiss Francs, British Pounds, etc. ).